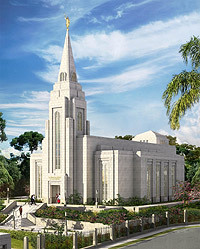 This website is dedicated to all missionaries who have served (or are serving) in the Brazil Curitiba Mission of The Church of Jesus Christ of Latter-day Saints. If you are new to our website, we invite you to create an account for alumni. If you have been recently called, or have a family member serving in Curitiba, you can open an account for current missionaries. Please, let us know if there is something we need to add, or correct. Suggestions and Comments are always welcome. We welcome the Oliveiras, the Paulsens, the Covingtons, the Swensens, the Damianis, the Morrisons, the Websters, and the Araujos. They all have active accounts now! Copyright © 1996-2010 LDS Mission Networksm · mission.net / ldsmissions.net · All rights reserved.